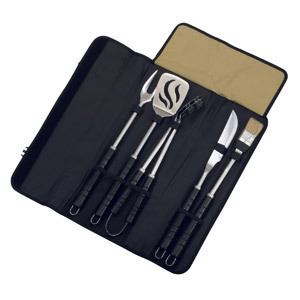 5 piece stainless steel BBQ set in 600D polypropylene tri-fold case. Includes: knife, fork, spatula, tongs and brush. Supplied in polybag.